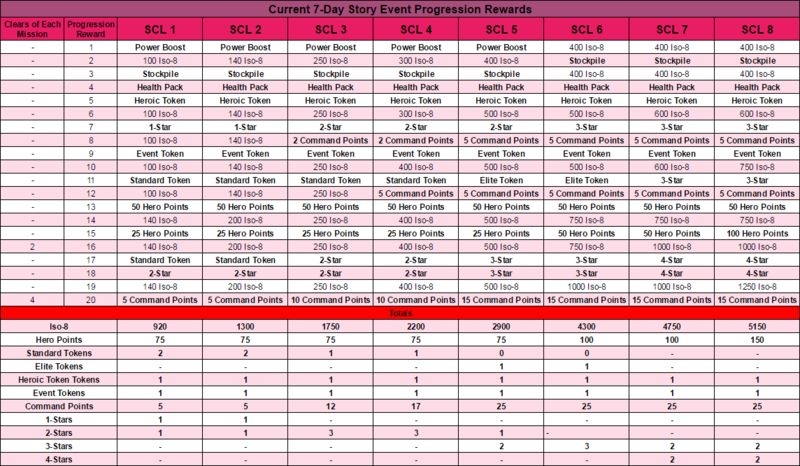 Starting in the The Hunt Story Event on May 21st, we will be updating progression rewards for 3-day, 4-day and 7-day Story events. We have increased the amount of rewards and made the rewards more goal oriented based on the amount of repeatable mission completions. We have also increased the reward amounts, most notably, more Iso-8, Hero Points, and Command Points. Every S.H.I.E.L.D. 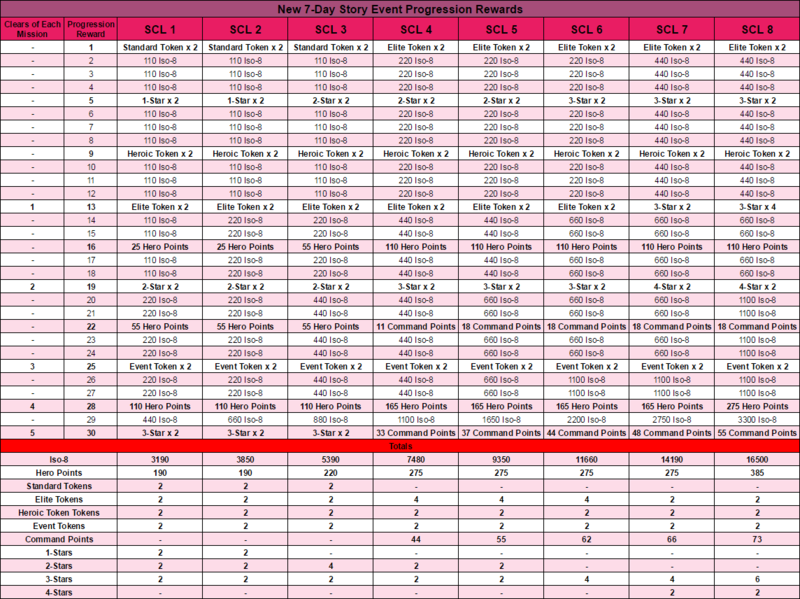 Clearance Level (or SCLs) has been updated. Please see below for more details. 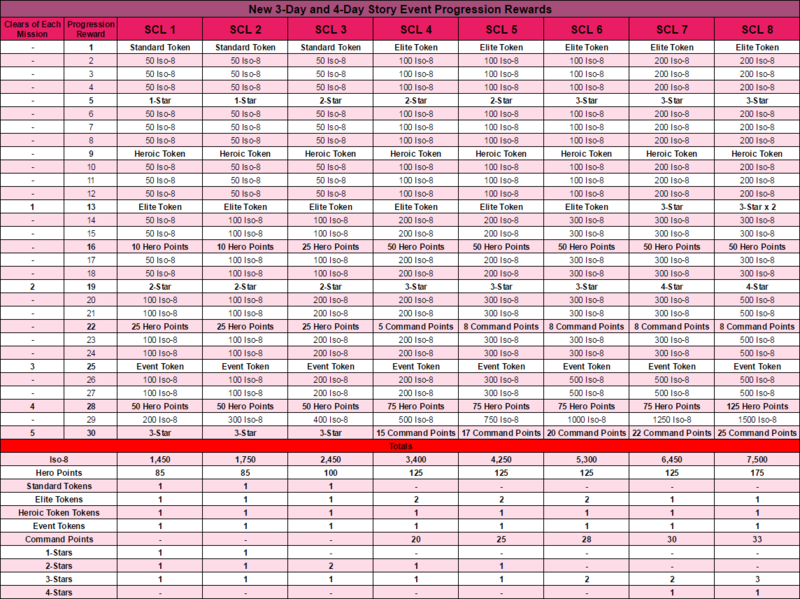 The number of times each repeatable mission needs to be completed to receive the top progression reward has been increased to 5 times (from 4). Here is some more information provided by Demiurge Anthony. Join Forces Missions are counted 3 times (full points, 2/3rd points and 1/3rd points) Wave missions are counted only twice. Basically, if someone plays all missions to green checkmarks without waiting for timers to refill, they'll get top progression even with the reduced points from 5th and 6th node clears. 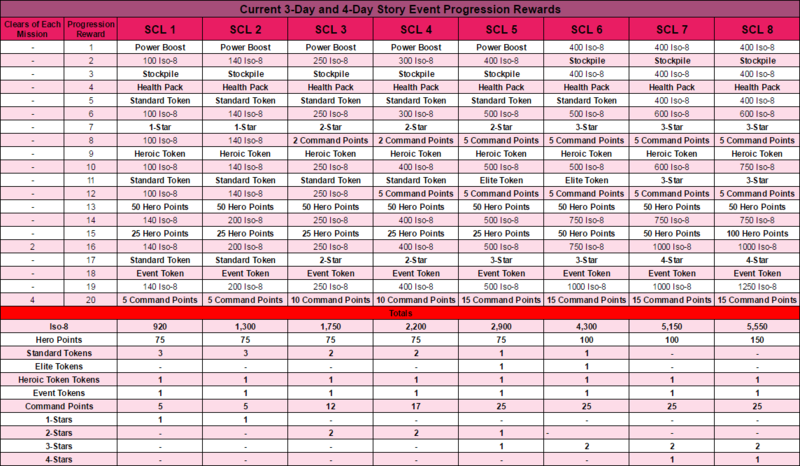 *Please see attachments for full breakdown of current progression rewards, and new progression rewards.